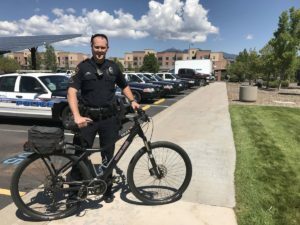 Flagstaff Biking Organization has funded the training for several Flagstaff Police Department Officers to become League of American Bicyclists Certified Instructors. On the first and third Monday of the month, by appointment, these officers offer bicycle safety training classes that are free to the public. Additionally, individuals who have been cited for bicycle traffic infractions may elect to take this class and avoid paying a fine. These classes do not only teach traffic laws as they relate to cycling. The information and strategies taught will empower you as a cyclist with best practices and strategies to protect yourself in traffic. This added confidence will make you a better, safer, rider. If you would like to participate in this class, please click here and fill out this form or call 928-213-3367 to contact the program administrators. Please allow at least 3 business days for a response. Any given class date is not guaranteed to occur, but the officers running the program will make every effort to get back to you promptly. 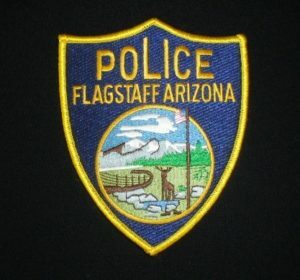 IF YOU RECEIVED A CIVIL CITATION FOR AN OFFENSE OTHER THAN 28-645A3AB WHILE RIDING A BICYCLE AND WOULD LIKE TO ATTEND THE BICYCLE SAFETY CLASS INSTEAD OF PAYING THE FINE, YOU MUST CONTACT FLAGSTAFF MUNICIPAL COURT PRIOR TO THE COURT DATE INDICATED ON THE CITATION. BICYCLISTS CAN ATTEND THE BICYCLE SAFETY CLASS ONLY IF THE VIOLATION WAS NOT INVOLVING A COLLISION AND YOU HAVE NOT ATTENDED THE CLASS WITHIN THE PAST YEAR OF THE VIOLATION DATE. CALL # 928-213-3367 TO REGISTER FOR THE CLASS.